Sandra Vázquez received the letter in the beginning of January. 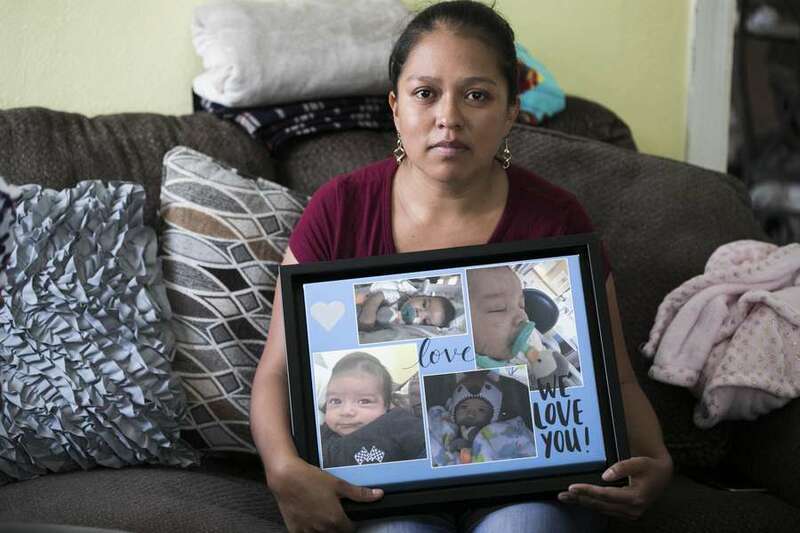 The thought of her son Sebastián, who died at the hospital, brought Vázquez to tears. Three months later, she still hasn’t been able to reply. “I feel like they want to negotiate Sebastián’s life and death,” Vázquez said. Indeed, Johns Hopkins wants to discuss settlements with the families of children who died or were injured at the All Children’s Heart Institute. In at least 11 cases, the health system has agreed to do so before the families file suit, “admitting our liability in most cases,” its leaders recently disclosed to investors in bond documents. That some parents are too angry to accept the overture is only the latest setback for All Children’s. In just a few months the region’s most-prestigious hospital has fallen into a state of near-constant turmoil. The slide started in November, when a Tampa Bay Times investigation revealed that problems in the heart surgery unit had led to a spike in the death rate. In December, the hospital’s chief executive officer and two other top leaders resigned. Then, at the end of January, federal inspectors exposed deep problems that went beyond the Heart Institute, including a governance structure where extraordinary power rested with Johns Hopkins’ handpicked CEO. In February, distrustful employees openly challenged the health system’s president in a town hall meeting that became public. Johns Hopkins, which absorbed the century-old hospital in 2011, has taken aggressive steps to stabilize the situation. The system’s president, Kevin Sowers, personally took over at All Children’s for a time after the December resignations and quickly apologized to patients, their families and the staff, as well as the broader community. The Baltimore-based health system has both experience managing this type of situation and the deep pockets needed to smooth over problems. It has likely already spent millions trying to contain the crisis at All Children’s, and it could spend millions more settling with the families. “We recognize the impact that the deeply troubling events that occurred at our hospital had on our community’s faith in us, and we are steadfast in our commitment to rebuilding that faith and writing a new chapter for our hospital and for our community,” the hospital said in a statement. But interviews with experts, community leaders and parents show how far the hospital still has to go. Most agree that what took a century to build will take more than a few months to restore. A crisis can drive patients away from a hospital, experts say, and leave general practitioners slower to refer patients to the hospital’s specialists. There are signs that the upheaval at All Children’s has done just that. The number of inpatient admissions for the fourth quarter of 2018 was 5.5 percent lower than it was for the final quarter of 2017, the hospital system’s latest financial filings show. The number of inpatient surgeries was 12 percent lower, a decline only partially attributable to the fact that the hospital stopped performing heart surgeries. In the February town hall meeting, Sowers replied to concerns from staff members about the low patient count by saying it hadn’t declined enough to affect staffing. Despite the lower patient and surgery counts, fourth quarter revenues were up. But expenses were up, too — enough to cut the hospital’s three-month profits by 80 percent compared to the last three months of 2017. Experts speculated the increased costs could be attributed to legal fees and other responses to the crisis. 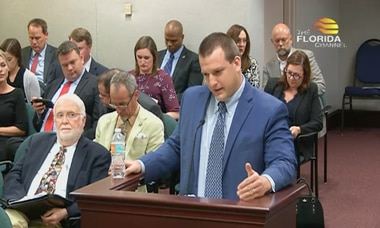 March 29, 2019: Florida could have fined All Children’s millions for late reports. It went with $4,500. March 27, 2019: All Children’s deaths led to a bill adding oversight. The Florida House just gutted it. The costs will likely keep adding up. Surgeons and top hospital officials generally have contracts, and any settlements with the numerous high-level employees who abruptly left the hospital in recent months could be costly. One doctor was hired to be the Heart Institute’s chief surgeon before the Times story published. 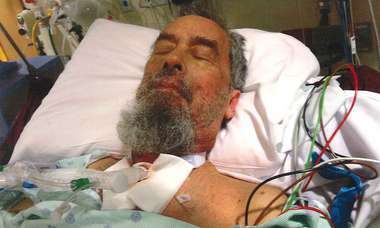 He relocated to Florida, then was asked to resign without ever performing a surgery, he said. An attorney for another heart surgeon, Dr. Jeffrey Jacobs, described the doctor being “forced out of his position” after the hospital announced his resignation. Jacobs made $930,000 in the fiscal year that ended in June 2017, according to tax forms filed by the hospital’s physicians group. His spokesperson declined to comment on the terms of his departure. Then there are the potential payments to the families. Six of the 11 families that are pursuing claims against the hospital had children who died in its care, according to the bond documents, the contents of which have not previously been reported by the Times. Three more of the children suffered serious neurological injuries. The final two cases involve injuries the documents characterize as minor. None of the families featured in the Times investigation had filed lawsuits before the story published; one family settled out of court for about $50,000. Some were unable to find an attorney who would take the case, they said. Now, several are pursuing claims, including Michelle Jackson. Her daughter Ca’terriunna died at the hospital in 2018 after a heart transplant. Records show sepsis contributed to her death. Jackson said she agreed to meet with hospital leaders earlier this year but she wouldn’t accept their apologies. “They took something they can’t give back,” she said. Rosana Escamilla, whose daughter Alexcia was paralyzed after a heart procedure at the hospital in 2016, said she feels like the hospital is trying to control the narrative. It wants to move on faster than she does, she said. “I’m not afraid to go to trial,” she added. This isn’t the first time Johns Hopkins has faced this type of crisis. In 2001, an 18-month-old patient named Josie King died at the Johns Hopkins Children’s Center in Baltimore because of medical errors. Soon after, the head of the Children’s Center, Dr. George Dover, apologized to the girl’s parents in person. “In those days, that was not fashionable,” Dover recalled in a 2016 interview with a Johns Hopkins magazine. He said he vowed to find out exactly what had gone wrong, share what he learned and work to prevent similar problems in the future. In the weeks and months that followed, Johns Hopkins rolled out an ambitious campaign to become one of the safest hospitals in the world. That playbook has informed All Children’s handling of the heart surgery problems. On an afternoon in January, the hospital’s chief nursing officer, Melissa Macogay, convened her staff in a conference room and stepped up to the lectern. The turmoil had been keeping Macogay up at night, she told the team. She had been there before, she said. She was one of the nurses caring for Josie King in Baltimore. She started at All Children’s a decade ago and was promoted to chief nurse in 2018. Macogay knew what her colleagues were experiencing, she continued: embarrassment, doubt, shame. But she urged them to stay focused on their patients and their mission. “We have a responsibility to take this moment and change the future,” she said. In recent weeks, executives have been moving forward with plans to earn national recognition for the nursing program. Calvin Glidewell, who was an executive at University Community Hospital in Tampa in 1995 when surgeons mistakenly amputated a wrong foot, said hospitals confronted with serious challenges must begin healing from within. “But it needs to quickly migrate into the community, the business community, the referral sources,” he said. In February, the hospital hired a new interim president, Tom Kmetz, to take over for Sowers, who had been commuting from Baltimore. A spokeswoman for the hospital declined requests for an interview with Kmetz. But in a conversation with Sowers that was recorded and posted on the All Children’s website, Kmetz listed rebuilding community confidence as among his top priorities. Community leaders are paying close attention. In the coming weeks, Johns Hopkins will have choices about how transparent to be. An attorney hired by the Johns Hopkins board to conduct an independent investigation into the Heart Institute is due to report back to a board committee no later than May. Johns Hopkins officials have promised to “share lessons learned from the review” so that the health system and others around the country can learn from what happened. They have not said whether they will release the full report to the public. A spokeswoman has declined to make Sowers available for an interview despite a series of requests over the past four months. Jason Mathis, CEO of the St. Petersburg Downtown Partnership, said All Children’s understands its importance, both as a lifesaving institution and an economic driver. “We need them to be strong, we need them to be transparent and we need them to move forward in a way that really underscores their commitment to positive outcomes,” Mathis said. The community, he added, is counting on it. A Tampa Bay Times investigation in November revealed that, despite warnings signs, the death rate for heart surgery patients at Johns Hopkins All Children’s Hospital surged to 10 percent in 2017 — the highest rate for any children’s program in Florida in the last decade. The average rate was 3 percent. All Children’s CEO Dr. Jonathan Ellen and three vice presidents resigned, as did a pair of heart surgeons. The chairman of the surgery department stepped down from his leadership role but remained at the hospital. Federal and state regulators investigated in January and found problems with governance, quality assurance and infection control that went far beyond the Heart Institute. They threatened to withhold public funding if the hospital did not fix the problems immediately. The hospital has since corrected its most pressing problems, as well as a second tier of less-pressing problems, and no longer faces that threat, records show. The hospital’s internal review found 13 cases where its care harmed children. The incidents had not been properly reported to the state, officials said. A bill was filed in the state Legislature to increase oversight of heart surgery programs, but it was gutted in the Florida House. Its future remains uncertain. The hospital is trying to negotiate settlements with the families of 11 patients who had “unexpected outcomes” at All Children’s. It expects additional claims to be filed. All Children’s is still being monitored by state regulators, who have said that fines and other actions may be pending. The health system’s next financial report is expected in May. It will show whether the hospital’s patient count continued to lag in the first quarter of 2019 or if it began to recover.